There was a rumor that new MacBook Airs and Pros were slated to be announced on October 27th. 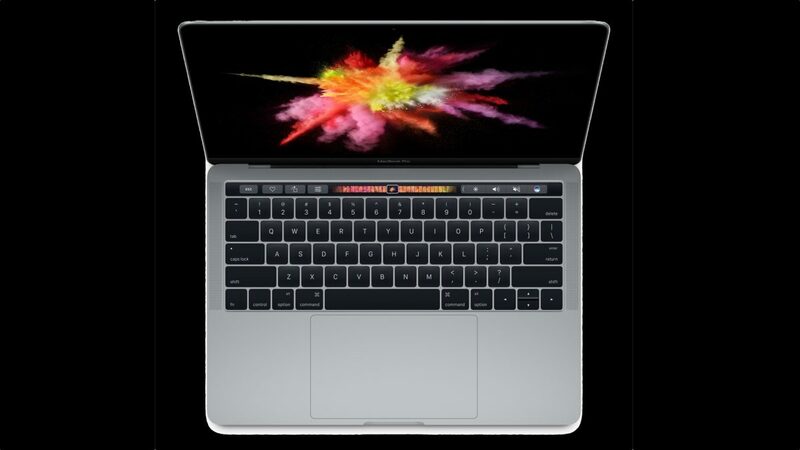 That rumor became fact yesterday when Apple announced the first major redesign to the MacBook Pro line since WWDC 2012 and the first laptop to be completely rely on Thunderbolt 3 and USB-Type C. How will be the transition from USB Type-A and Thunderbolt 2 to the single connector of USB Type-C? Its not going to be near as difficult as the media may lead you to believe. USB Type-C is NOT replacing USB. USB-Type C IS USB. its just USB that is smaller and more flexible. What that means is everything still works. You may just need a different cable for it. The USB standard has multiple different connectors: The two most common varieties are the standard Type-A and Type-B as they exist in USB 1.0 and 2.0. They are the rectangular connector on your computer, the smaller connector on your printer, and the cable that runs between them. Your Garmin has Mini-USB and your cell phone has Micro-USB. There’s also modified versions of these for USB3.0 that have more pins for faster speeds. In addition to connector types, USB is available in speed ranges from 12Mbps in USB 1.0 all the way up to 10Gbps in the newest USB spec USB 3.1 Gen 2. That’s far too many connector types. the Type-C connector was designed to replace them all with a single connector that could be used anything from cameras to phones to computers to even You don’t need any kind of adapter, you can just buy a cable with USB-C on one end and your printer, hard drive, audio interface, etc will work as it always has. This is more akin to the transition from Firewire 400 to Firewire 800 or DisplayPort to MiniDisplayPort than legacy ports to USB. The USB Type C is nothing new at this point. Its available on two generations of the Retina MacBook, most middle to high end PCs bought in 2016. A quick check online shows Belkin, Apple, and other branded cables of various types of cables available from your typical who’s who of big box retailers. Online sources like Amazon and Monoprice go even further. Its also fairly easy to find a a USB power supply that will work with your MacBook or PC of choice. Yes, with USB-C being non-proprietary you can grab any power supply you want as long as it produces enough power for you PC. Here is the one caveat: There are multiple reports of USB Type-C cables that do not meet spec. If ordering from from Amazon, make sure your cable is on Engineer Benson Leung’s List for full compliance. This isn’t an issue you should find in retail stores though. If I have to be honest, this is where the sticking point will be. Cables are available, but devices are not outside of external graphics enclosures for gaming PCs. Complicating matters is that Thunderbolt 3 is essentially a new ecosystem. The only real devices prior to launch were a couple RAID enclosures, some docks, and a few rather pricy and bulky Thunderbolt 1/2 to Thunderbolt 3 adapters. Apple made it a bit easier with their own Thunderbolt 2 to Thunderbolt 3 adapter which is far less bulky and half the price of third-party options at $50. The Apple cable is bidirectional so it can not only adapt your Thunderbolt 2 devices to a new MacBook Pro (and presumably everything else going forward), but also take future Thunderbolt 3 devices with the USB-C Connector and use then on your existing Mac. Right now Thunderbolt 3 is nowhere near as mature an environment as the USB Type-C. Further more, in its latest form, USB-Type C has gained speed and computer to computer networking that were previously Thunderbolt’s territory. The number devices that need a Thunderbolt connection may not be as many in the future. Apple is right to be pushing ahead here. The future is one connector to rule them all. All transitions have some degree of difficulty. Thunderbolt 3 has to exist in the wild before devices exist for it. Same with Thunderbolt, FireWire, SCSI, and whatever exited before that. You may not want to get into new I/O at this time and nobody is forcing you to. If you’re not ready to move on, there is no shame in that. New MacBooks with New I/O isn’t something to fear, it’s just time. Apple isn’t putting an undue burden on its users, as I’ve shown here, unless you have a large Thunderbolt accessory collection, its not really much of a burden. USB-C and Thunderbolt 3 are going to make your lives a lot easier. Let’s embrace that instead of wasting time resisting an inevitable change.